On 2 November 2018, Junik Municipality and CNVP Kosovo organized Chestnut Day. 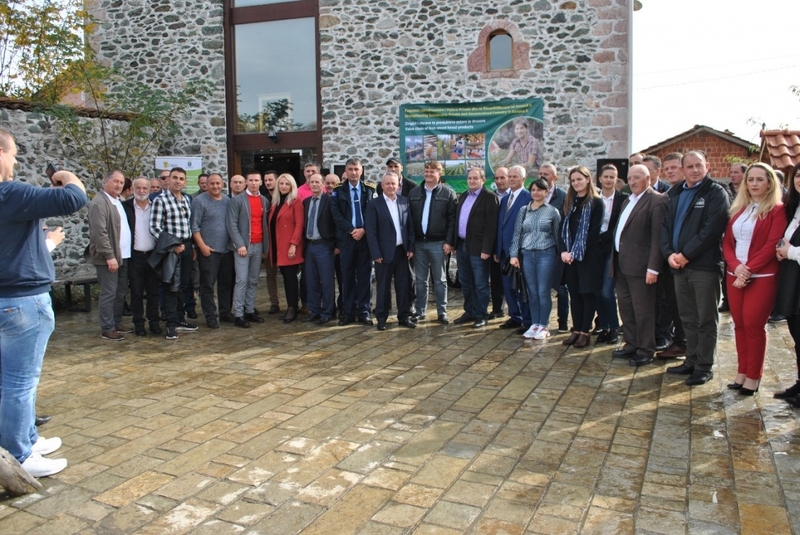 The event was attended by representatives from the Ministry of Agriculture, Forestry and Rural Development, the Kosovo Forest Agency, the Kosovo Forestry Institute, the National Association of Private Forest Owners, Municipalities and Producer Groups. The aim of the event was to raise community awareness about the proper management of chestnut forests. Members of producer groups displayed chestnut seedlings, honey, juice, jams, nuts, wild berries and handicrafts, as well as benefited from traditional cuisine, music, dances and roasted chestnuts.The Mayor outlined ongoing activities to develop the chestnut value chain. Stakeholders were encouraged to improve sustainable harvesting of chestnuts, non-timber forest products and forest fruits. The activity was organised through the Sida-funded project Strengthening Sustainable Private and Decentralized Forestry that is being implemented by CNVP Kosovo.